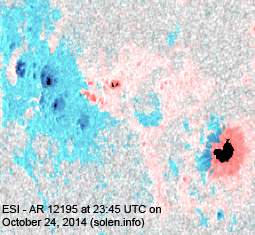 Last major update issued on October 25, 2014 at 05:40 UTC. 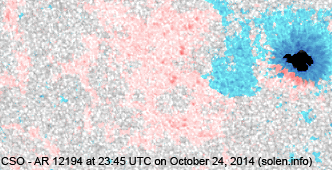 The geomagnetic field was quiet to unsettled on October 24. 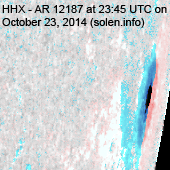 Solar wind speed at SOHO ranged between 388 and 500 km/s under the influence of a high speed stream from CH640. 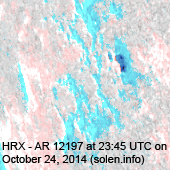 Solar flux at 20h UTC on 2.8 GHz was 218 (increasing 37 over the last solar rotation). 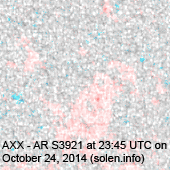 The 90 day 10.7 flux at 1 AU was 140.8. 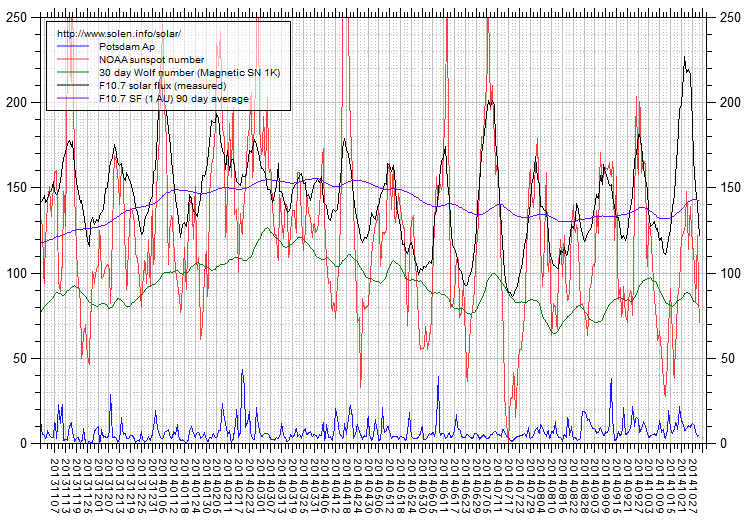 The Potsdam WDC planetary A index was 9 (STAR Ap - based on the mean of three hour interval ap indices:8.9). 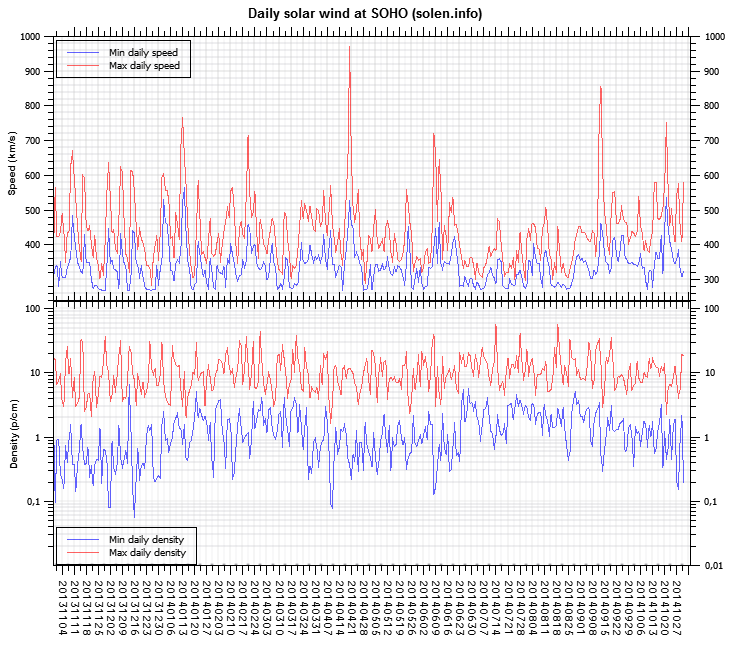 Three hour interval K indices: 31122322 (planetary), 21233423 (Boulder). 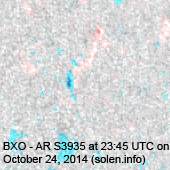 The background x-ray flux is at the class C2 level. 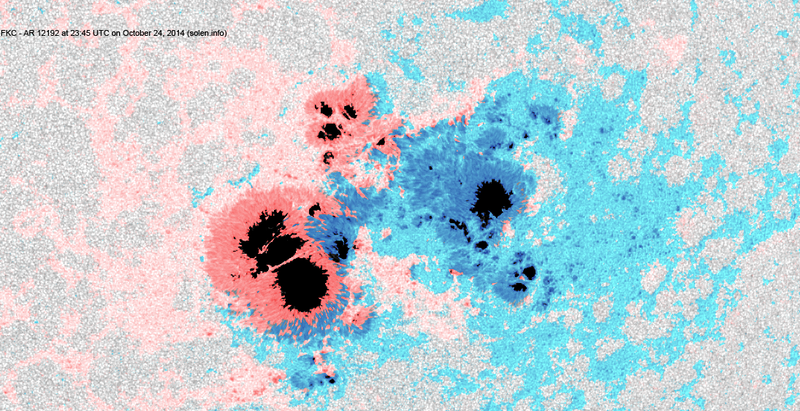 At the time of counting spots (see image time), spots were observed in 9 active regions using 2K resolution (SN: 323) and 7 active regions using 1K resolution (SN: 184) SDO images on the visible solar disk. 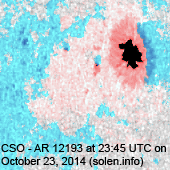 Region 12192 [S14W17] again became less compact with the main penumbral areas separating. 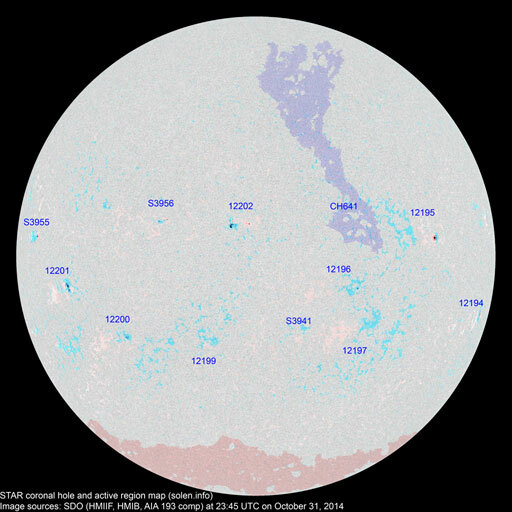 The region has a few small magnetic delta structures and one significant in the eastern part of the large trailing penumbra. 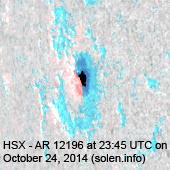 Further X class flares are possible until the region rotates out of view in about 6 days. 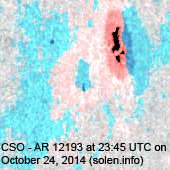 Region 12193 [N05W59] decayed slowly and quietly. 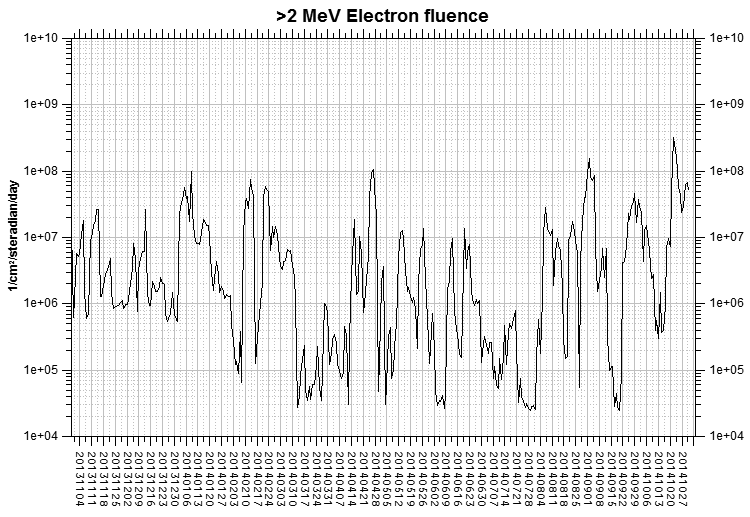 Region 12194 [S13E19] decayed slowly and quietly. 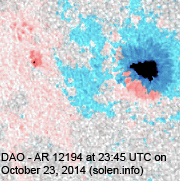 Region 12195 [N07E48] was quiet and stable. 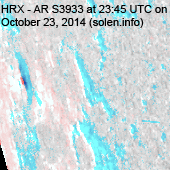 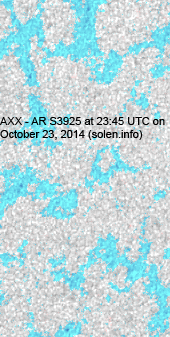 New region 12196 [S03E68] rotated into view on October 23 and was numbered by SWPC the next day. 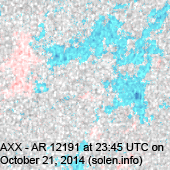 New region 12197 [S12E64] rotated into view on October 23 and received its NOAA number the following day. 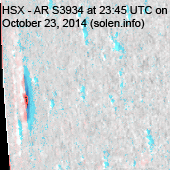 S3921 [N20W37] decayed slowly and quietly. 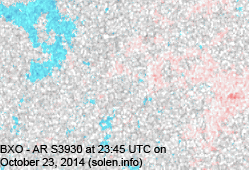 S3930 [N10E22] was quiet and stable. 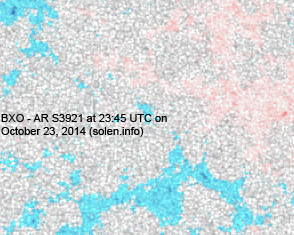 New region S3935 [N12W52] emerged with penumbra spots. 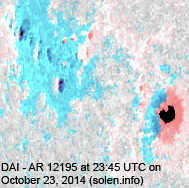 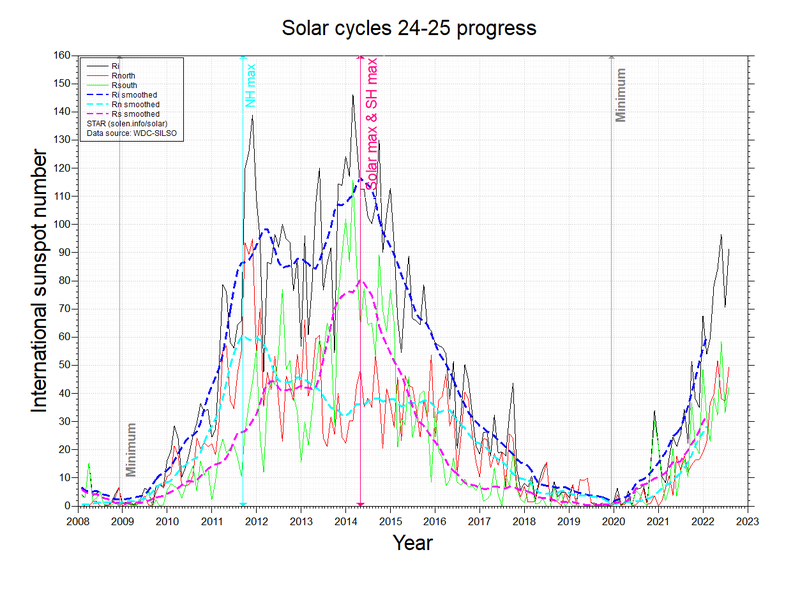 October 22-24: No obviously Earth directed CMEs were observed in LASCO and STEREO imagery. 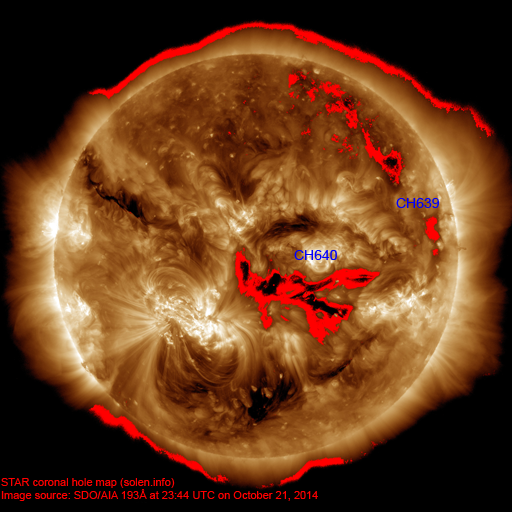 A recurrent trans equatorial coronal hole (CH640) was in an Earth facing position on October 19-22. 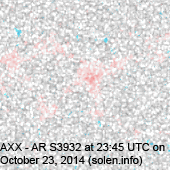 Long distance low and medium frequency (below 2 MHz) propagation along paths north of due west over upper middle latitudes is poor to fair. 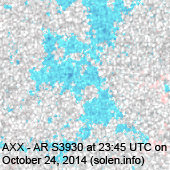 Propagation on long distance northeast-southwest paths is good to very good. 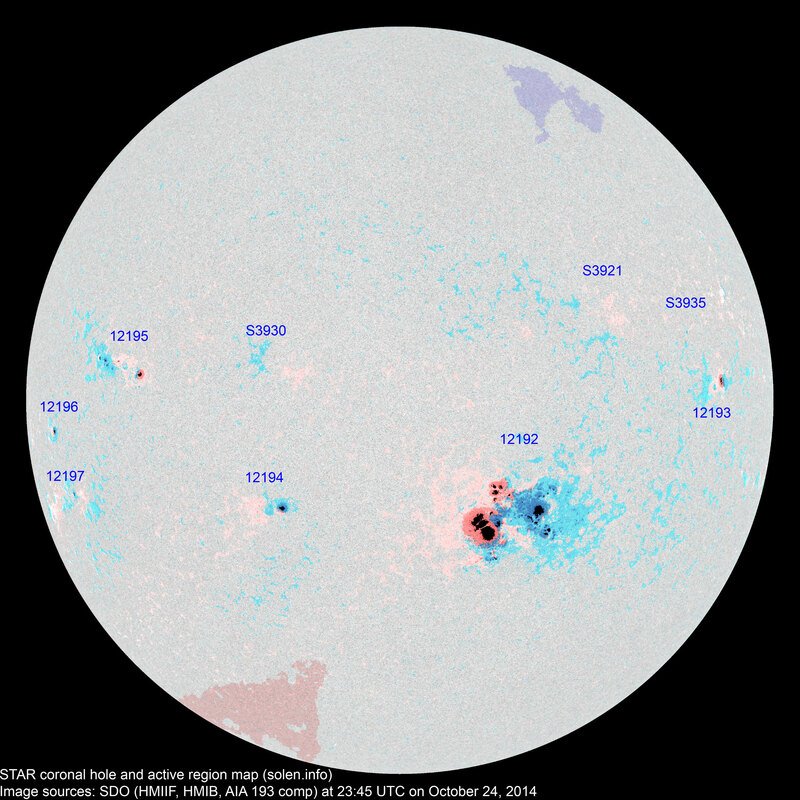 The geomagnetic field is expected to be quiet to unsettled on October 25 due to lingering effects from CH640 and quiet on October 26-27.